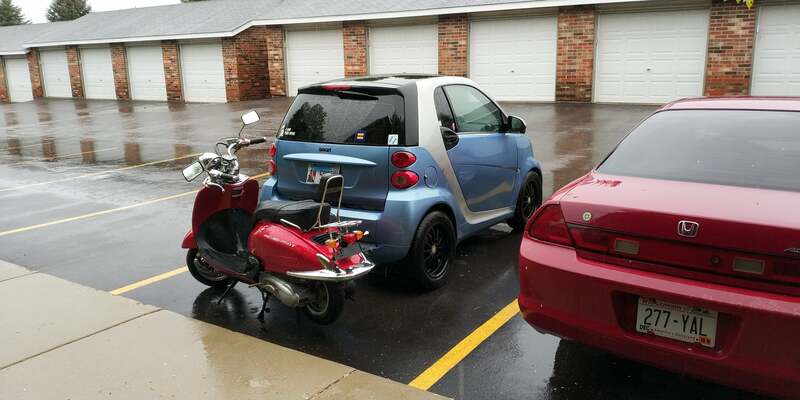 Smart Car Forums > Life Beyond smart > The Car Lounge > Motorcycles are nearly as addictive as smarts! 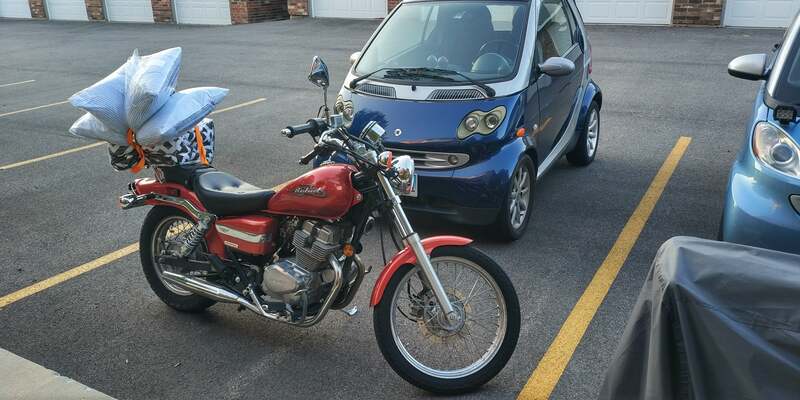 Motorcycles are nearly as addictive as smarts! Believe it or not I've actually retired all of my smarts from daily driver duty. I've spent my summer riding various bikes and generally having a blast. 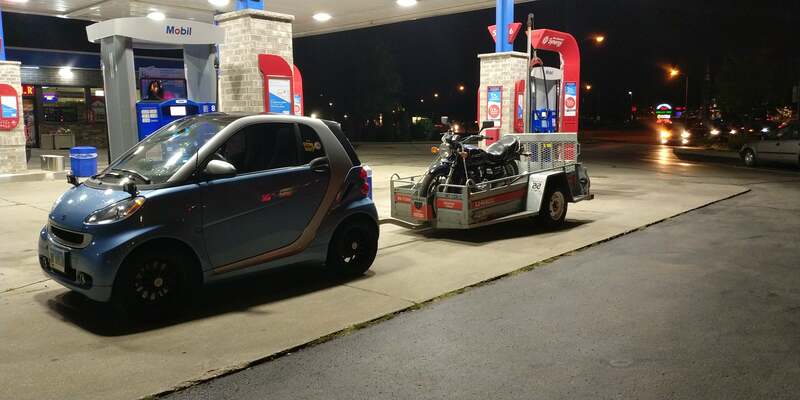 I really only drive a car to tow a trailer or carry a passenger. I'm also prepping to have a bike as my "winter beater", too. It's been a crazy addiction so far and I peaked four bikes and scooters as of a couple weeks ago (though now I'm back down to three). A hankering for Chinese bikes helps to keep this hobby cheap. Whereas a single small part on my Buell Blast may cost $200, I can get an entire engine and transmission for a Chinese bike for the same price. Before I dive into this, I helped fund this newest hobby by auctioning off the dozen or so custom computers I've built over the past couple years. Building computers is fun, but there's no point to it if I'm never going to use them. And selling them is a nightmare if you're just a single small person and not a shop. 2000 Buell Blast "Neutron". He's my speed demon sport bike. The little thumper makes it a rolling massager. 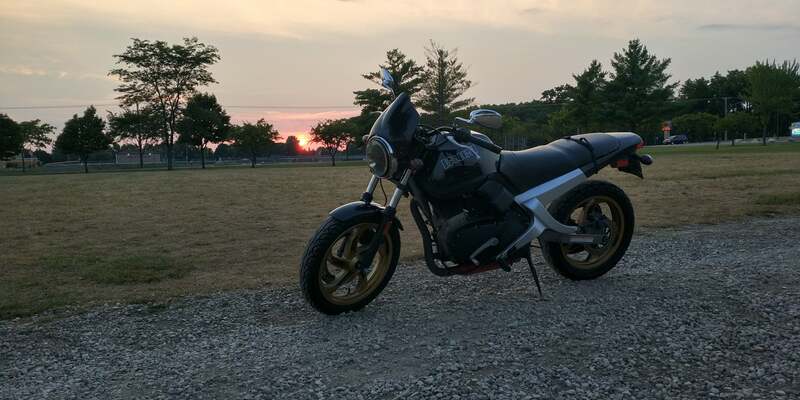 2005 Honda Rebel 250 "Velma". She's my "around town" bike and my grocery getter. I kinda want to trade up to a Honda VTX or a Kawasaki Vulcan. 2012 Jinlun 150cc Ruckus clone (no name for it yet). This thing is my new toy. Got it off a college student for peanuts and it just needs a few things to get going again. 1) Get it running (battery, carb, stabilized petrol). 3) Replace all of the indicator light housings (broken). 4) Get an engine cover. 6) New brake levers (they’re extremely worn). 7) New seat/seat cover (in a fun colour like pink). 8) Plasti-Dip the wheels to match the seat. The amusing thing is that all of the above can be accomplished for less money than a date night. The last one was a 2008 Bashan MC-16-150T "Imperator Slowiosa". She was brand new with only 3 miles (previous owner bought it and left it in his garage for ten years). I got it for the upcoming Gambler 500 but gave up on getting it running when I realized that the petrol tank rotted out. In hindsight, I could have just replaced the tank...I mean since it's a Chinese scooter a tank is only $20 shipped. I ended up selling it for enough to break even on the project so I'm not feeling too bad. As is now a common question since I've started riding: What do I do about insurance? I've moved to a local area "per mile" insurance company. And since I live 0.5 miles from work nowadays, I basically pay nothing to keep the working vehicles in the fleet legal. My girlfriend and I have realized that one day I'm going to need to open a smart and oddball bike museum. The Ruckus looks like a Sportster. So you qualified for fleet insurance yet? The Ruckus one is the white one. The Sportster look-a-like is the Rebel. I haven't looked into fleet insurance yet. 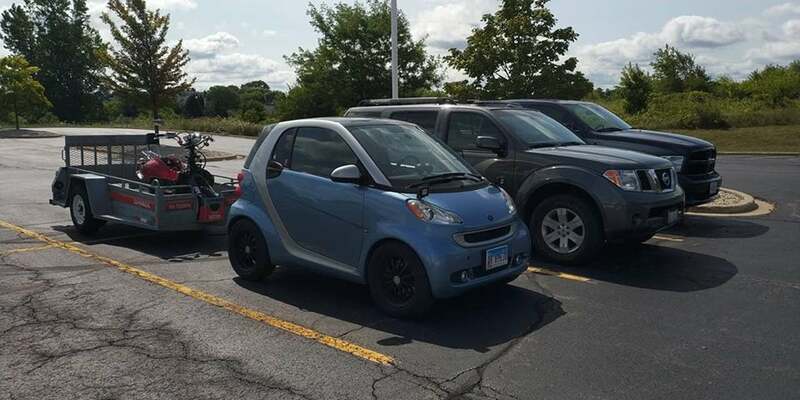 Admittedly my end goal is to keep my insurance costs to no more expensive than what I was paying back when I got my 2012 smart. I hit that goal with the per-mile insurance, so I never bothered. 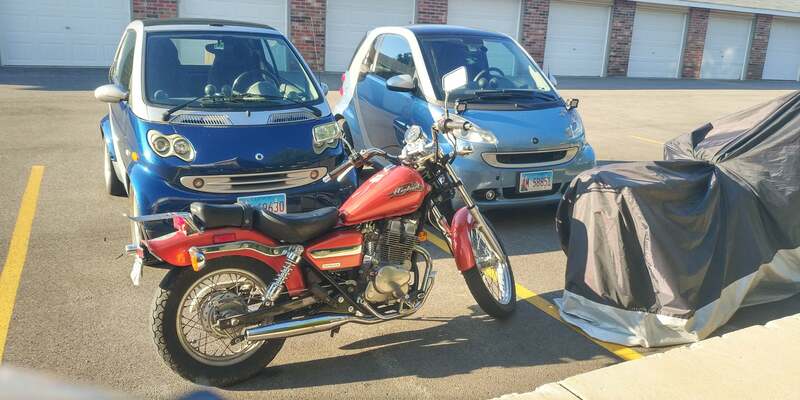 Just picked up an ‘09 Suzuki Burgman AN 400 last weekend. 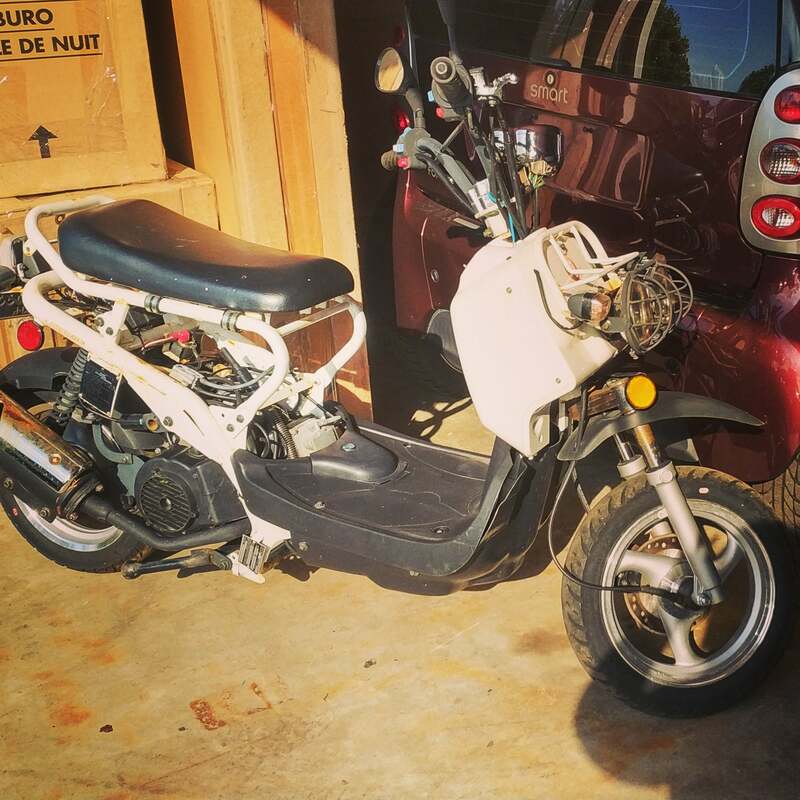 Fifth scoot I’ve owned and the largest. I've seen people put extended swing arms on those ruckus bikes. Look like a lot of fun. Ah, ok thanks. The Ruckus name fits, really interesting looking. Kind of reminds me of the mini bikes we had as kids but this one's on steroids. Btw you ever seen one of these? 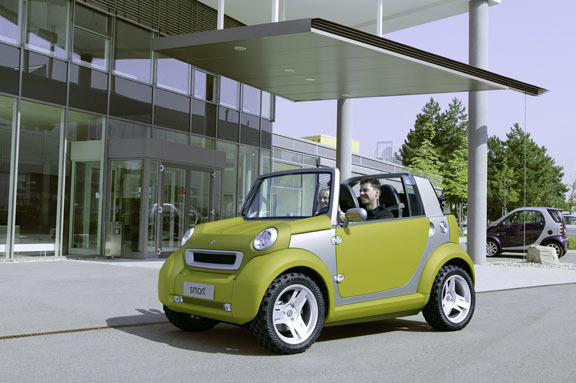 Happened to stumble on pix yesterday while looking at an article on smarts. Just be careful on the roads. Around here those are called "donorcycles". Stay safe! That's a smart crosstown. It was a hybrid concept that was slated for production, however Jeep got salty about it and told smart (a subsidiary of what was then DaimlerChrysler) to quit it because it stole Wrangler design cues and would likely steal sales. I mean, a low to the ground hybrid car without any offroading abilities certainly wouldn't, but okay. I haven't heard "donorcycle" in a while! I am an organ donor, though I'm not sure how many of my organs would be usable considering I'm pumping HRT through them. Sold my Rebel and bought this! 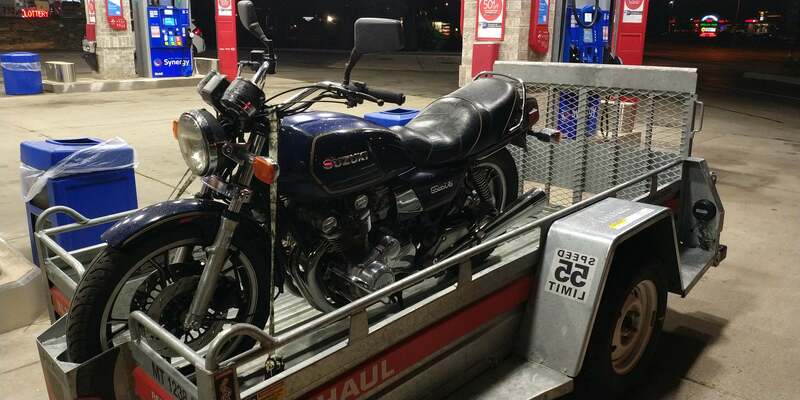 It's an 82 Suzuki GS850G with 29k miles. Nice! Love the vintage cycles.